I’m A Celebrity 2016: Lisa Snowdon is the second celebrity to leave the jungle! Lisa Snowdon has become the second celebrity to leave the I’m A Celebrity 2016 jungle, leaving 10 campmates. 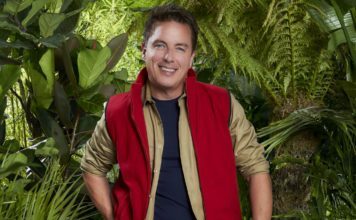 On Friday night, the first celebrity left the I’m A Celebrity jungle, as the Claims of the Thrones twist came to an end. The two campmates with the fewest public votes were Carol Vorderman and Danny Baker. 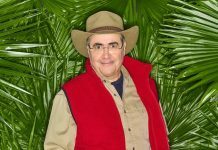 Danny Baker was the campmates who had received the fewest public votes and was the first celebrity to leave the jungle. However, last night, none of the campmates left the jungle and instead the public voted for the celebrities they wanted to take part in the latest Bush Tucker Trial “Pick and Crits”. It was revealed that the public had chosen Adam and Martin to take part in the trial. This evening, we watched Martin and Adam hold different jungle critters in their mouths for a duration of 30 seconds, including a spider and cockroaches. They impressed all the campmates by earning 11 stars for camp, as they completed all of the tasks successfully. During tonight’s show, Ant and Dec made their way into camp and revealed that the two campmates with the fewest votes were Carol Vorderman and Lisa Snowdon. I’m A Celebrity continues tomorrow at 8:30pm on ITV. Stick with TwitCelebGossip for all of the latest I’m A Celebrity news. I’m A Celebrity 2016: Scarlett Moffatt is crowned Queen of the Jungle! 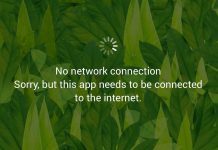 I’m A Celebrity 2016: Official app crashes as voting opens to crown the winner! I’m A Celebrity 2016: Ant and Dec slammed for the second time over ‘distasteful’ sketch! 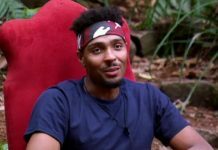 I’m A Celebrity 2016: Jordan Banjo is the fourth campmate to leave the jungle! I’m A Celebrity 2016: Ola Jordan is the third celebrity to leave the jungle!